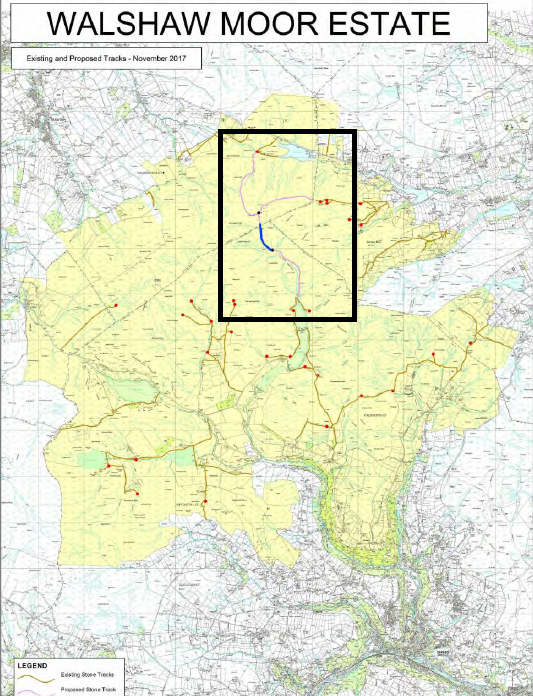 Introduction: This post is about a track that a grouse shooting estate wants to build across their grouse moor. The land is designated because of its nature conservation importance. I, with the help of some very clever lawyers and the financial support of many of you, have stopped this track being built once on the grounds that the Habitats Regulations Assessment carried out by a government agency Natural England, and authorising it, was unlawful. The track is a track, but this track is mixed up with grouse moor burning, potential infraction proceedings against the UK government, floods in the Calder Valley, and the future of driven grouse shooting. Blog posts on this site entitled Wuthering Moors are about the issue of burning of blanket bogs by grouse shooting estates (e.g. Wuthering Moors 28, 15 October 2012), the inability of the government agency Natural England to do its job properly on regulating landowners on protected moorland sites (Wuthering Moors 68 – the background to an unlawful decision, 11 May 2018 and Wuthering Moors 67 – a significant victory, 10 May 2018) , and the pickle into which the UK government has got itself with the European Commission over its poor implementation of the Habitats Directive (eg Wuthering Moors 70 – EU infraction proceedings, 13 August 2018). Thank you to everyone, quite a few of you, who have pointed out to me that the Walshaw Moor Estate has renewed its planning application to build a track across blanket bog in the hills above the Calder Valley. It is planning application 18/00237/FUL and can be found here. 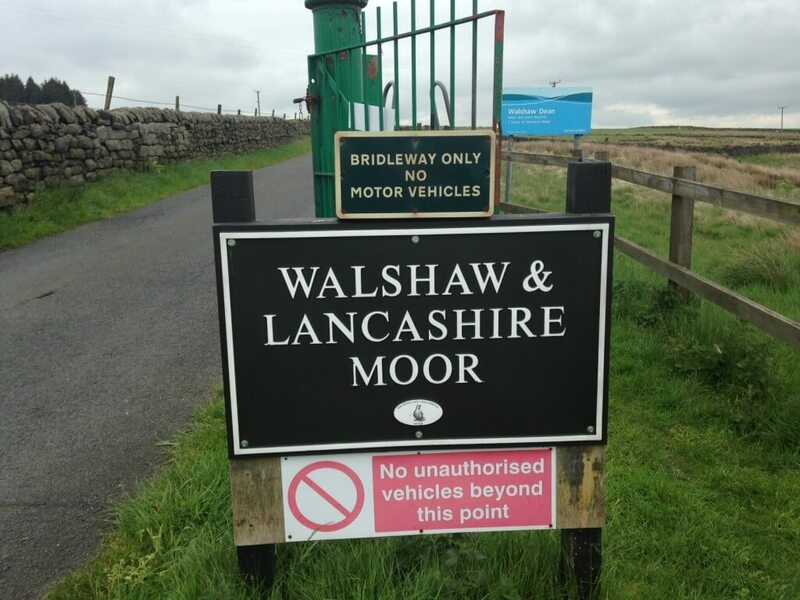 Walshaw Moor Estate appear to have put in for planning permission for a track – again! For anyone to grant planning permission for that track there would have to be a proper Habitats Regulations Assessment of the track. Back in May, thanks to our legal challenge, NE were forced to review their HRA because it was unlawful. Our lawyers at Leigh Day have kept in touch with NE over the intervening period and are contacting them again now. To the best of our knowledge there is no existing proper HRA that consents this proposed track. We’re on it – watch this space! As far as I understand it, as the Planning Authority is making this particular decision it will be their responsibility to carry out the HRA, not Natural England's. NE is just a consultee. Yes, have also had notification of this, but is there any comment I/we should make at this point? Or will previous comments still stand? Have also had notification re same estate for 18/0143/FUL from Pendle. Is this another part of same track? Mairi - I'd give it a while if I were you. yes, that's the other end of the same track. As this is a new application, any previous comments, are null and void. You can of course re-issue any previous comments verbatim providing they reflect the new application; or amend as necessary.